John and I are experimenting with extended hours and will be open from noon till 9pm tonight, Friday Sept 21 2012, and tomorrow Saturday Sept 22. If response is good, we may continue it. Bring a game to swap! Game Swap is open any time during gallery hours. The Cooperative Gaming Co-op will be open until mid October. We will have more events coming up in the weeks to come. ..But I think Ill extend Thursdays till later. Seems a shame to close up before people get off work. The Cooperative Gaming Co-op will have its big kickoff reception for Zero1 Saturday September 15th! 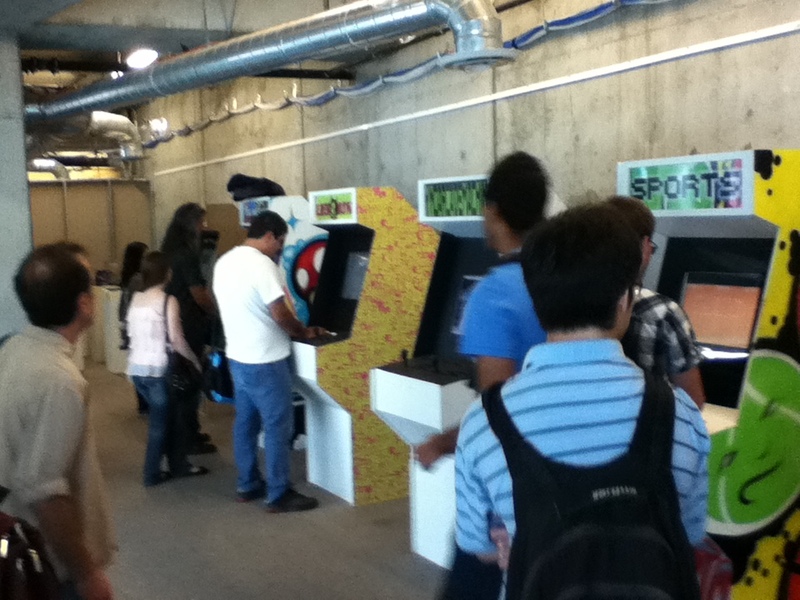 ★ 8 handcrafted arcade cabinets with themed collections by esteemed artists and curators. ☭ Bring old games, new games, games you made to swap and share. Im gonna let you finish but this is the greatest best event of your lifetime of your generation. Come out this Friday September 14th! Sound Like too much fun? It is! but theres more anyway. We are moving our game swap to the the street fair. Trade what you played or bring games you made! Gallery crawling this First Friday? The Cooperative Gaming Coop Will be hosting a soft opening of our new community arcade space. Downtown San Jose’s monthly art walk will finally have the arcade its always wanted but never dared to ask for. The Cooperative Gaming Coop is a free and open organization whose first mission is going to be to help game developers and those of us with old games tucked away. The rules will be evolving as we build our Coop Shop, but if you bring something you are welcome to take something with you. You can get rid of the stuff that is cluttering up your attic and come home with something new, cool or retro. If you are a game developer, please consider burning us a few disks! We want to help people trade and play games developed locally and by people we know. Designed or not, CD sleeves are a great way to give instructions, please make sure to list the name and platform (and the authors name) with each disk. Please come out if you can, this is going to be our pre-game event and we could use as much support as possible.